I was so blown away by ‘Chain Reaction’, the sophomore release by Israel’s Distorted Harmony that I felt compelled to undertake an interview with the band to supplement the album review that was recently featured in Powerplay Magazine. The conversation that I undertook with keyboardist and founding member, Yoav Efron was a real pleasure and, thanks to some blunt honesty, rather illuminating. “It first began when I was playing around with a few tunes back in 2006”, Yoav begins when I kick things off gently by asking for a bit of the history behind Distorted Harmony. “I thought about maybe making it into a project, but not a band at that point. After going through a bunch of musicians and friends, I met Yogev (Gabay – drums). We started working together and we even did a few demos in 2008-2009. That’s probably the main difference between “Utopia” and “Chain Reaction”. Most of the material was written in 2006-07 so when the band officially formed in 2010, most of the songs were already complete. So there was no input and no new material to be created to make it more album-ready. When we started working together as a band, it was for the recording of that music for ‘Utopia’. The result is a magnificent album that draws inspiration from a number of different sources but blends everything into an ambitious, yet cohesive and immensely enjoyable whole. You have to hear it to believe it, but trust me, hear it you must. Interestingly, despite the relatively short writing time, the process was very painstaking, as Yoav explains. But, whilst the lyrics are important for Distorted Harmony, Yoav is adamant that the music will always remain top-dog. It seems only natural for us metal heads to try to pigeon-hole every band we hear into a neat, conformist box. 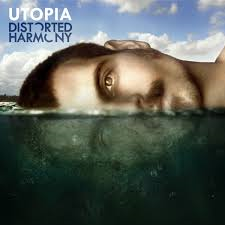 Distorted Harmony is therefore best described loosely as progressive metal, thanks to intelligent compositions, clever time signatures and technical dexterity. When I put this to Yoav though, his response is interesting and ever-so slightly surprising. One of the bigger influences to be heard on ‘Chain Reaction’ is that of the djent movement. I ask Yoav to enlighten me about this, something he is keen to do. As good as progressive and technical music can be, I must declare my love for a good old-fashioned melody as well. 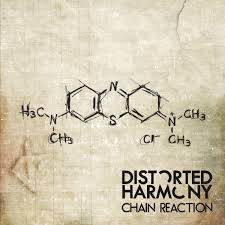 This is one area where Distorted Harmony seem to excel, lacing their challenging compositions with both memorable and delicate melodies, be they in the instrumentation or via Misha Soukhinin’s vocals. As previously mentioned, the musicianship is of a massively high standard. The band, rounded out by guitarist Guy Landau and bassist Iggy Cohen have an impressive relationship with their chosen instruments and it really shines through in the compositions on ‘Chain Reaction’. Naturally, as he explains, Yoav couldn’t be happier with the collective he has assembled. Having referred to that elephant in the room, I feel it’s about time to confront it head-on. 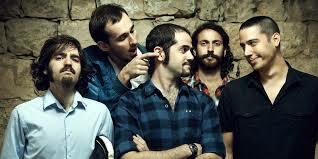 I therefore ask Yoav whether it is difficult being a metal band from Israel. 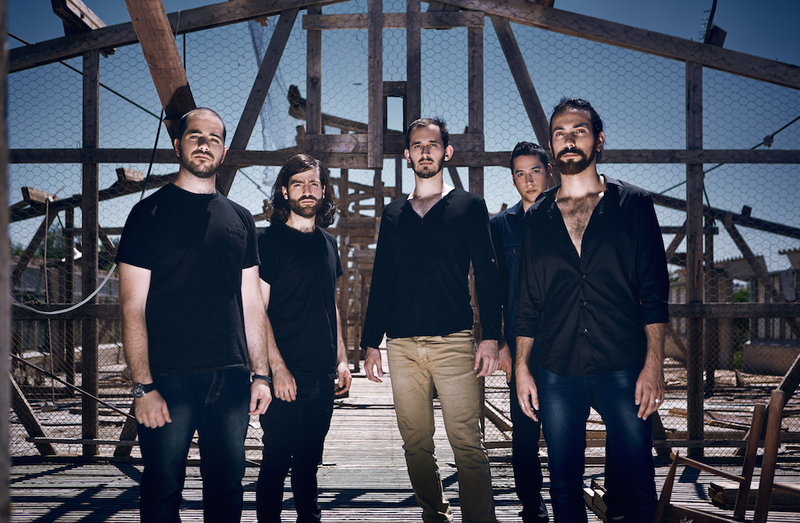 The Blog Of Much Metal is not a political blog in any shape or form, but given the way in which Israel is never far from the headlines, I have to ask Yoav whether the situation in the Middle East has an effect on the band. As it turns out though, the ideological notions of Yoav are not as simple as ‘we want peace’, although this forms the underlying bedrock to them. “That’s another topic”, Yoav chuckles when I ask him whether the band would every consider moving away from Israel. “It’s very hard because each member of the band has their own life, their own jobs. But just as an example Yegev has recently moved to the US, to study at Berkley. So, in the meantime, we will get a replacement here and Yegev will join us when we travel abroad. Given the chance, I would gladly move away and I think many of the band would too. Compared to many European countries, you make a less and it costs a lot more to live. It’s very hard to make a living and to exist here in Israel. Not to mention the fact that I hate Israeli weather. It’s always hot and I like the cold”, he laughs. So, what of the future? Will Distorted Harmony continue? The response is very encouraging from Yoav and will no doubt please many, myself included. And the final word of an entertaining chat, I leave to Yoav.